Pictures and video of the whole process! Yup, now you know what we did this weekend. Ok, it is everywhere and this is our fifteen minutes of fame. I am dead proud of everyone involved – Jo, me, Robert (Jo’s son), Daisy (my daughter), Richard (he made our lunch), Rob (photographer) and Robin (sent from Visit Scotland) and even BeAnne who got in the way! We’ve done very well and if it spreads the word that Shetland ponies are out there, loud and proud, then all to the good! 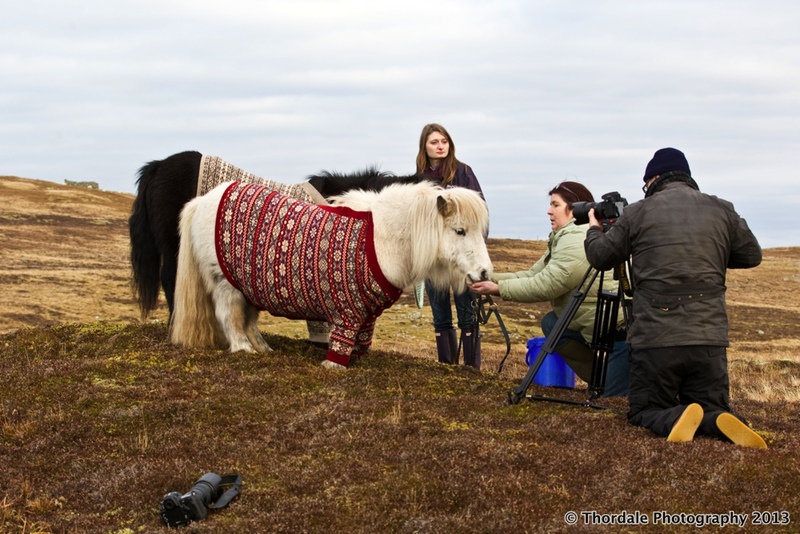 Shetland ponies often have bad press but Whiffy and Vitamin were awesome models who behaved every minute without having any opinion (they are now known as Kate and Naomi)! I am off for a little lie-down now while the press clamour at my door. This entry was posted in MyShetland on January 22, 2013 by Frances. Love it Frances! The girls look very smart in their cardies.Hope now they can say other than Shetties are nasty. I think Natty is more the word. So fun to see more photos and footage after the single photo I saw on someone else’s blog yesterday! 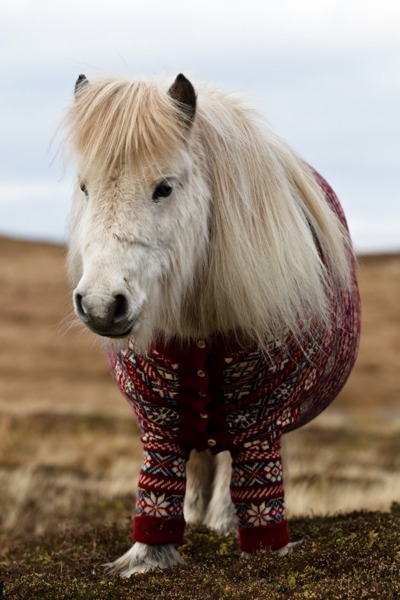 Was disconcerted when I first saw the image and hope that people don’t feel the need to acquire these amazing pony cardigans and hope that folks don’t think that they are the next fashion statement for ponies and horses. 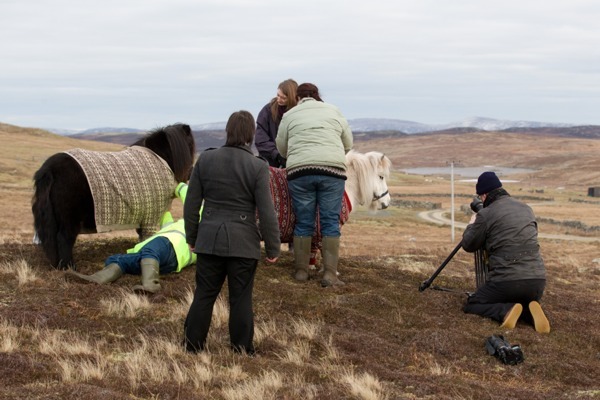 Was glad to see no more will be produced.Having said that, what great tolerant and lovely looking ponies and it shows that Shetland Ponies don’t have to live up to the bad press these amazing animals actually are if they are treated like horses. I was a person who was rather dismissing of these ponies, in the first instance until I judged a Horse show in Shetland a good few years ago where I was very impressed with the ability of the ridden ponies and more recently when I acquired a 35″ ginger nervous mare who produced a rather cute 34.5″ colt foal. 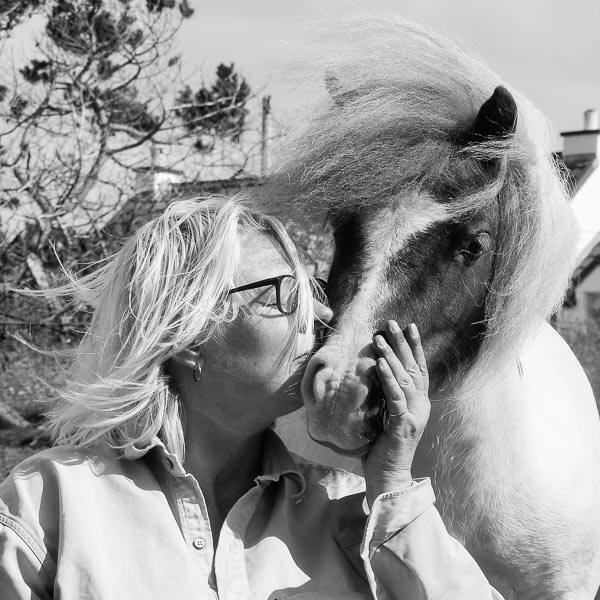 The mare just wants to please, despite her sensitive flight reaction (more so, than I think any other horse or pony I have met – even my adored Highland Pony whom I have had for 18 years). Dear Frances, Please please submit some of these to CuteOverload, a terrific site with incredibly cute animals(like these) and witty captions, and posters.,.these ponies are so adorable. This made my day. It’s been gray, cold, and horrible in N Idaho (NW US–dangerously close to Canada) and this made me giggle like a little girl!Scotland is wonderful and I hope to visit again sooner rather than later! Fabulous. 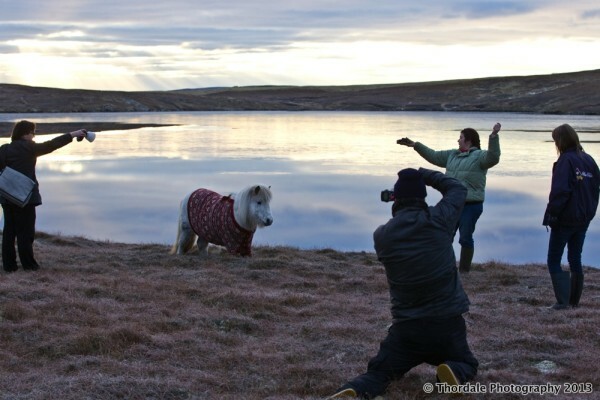 Enjoy reading your shetland antics and admiring your beautiful photography. 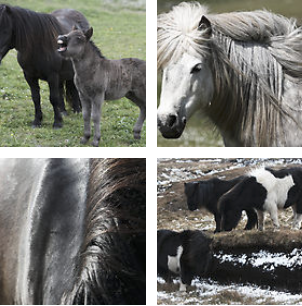 We have seven Shetland ponies including Thordale Olaf the Lofty. I couldn’t ask for better ponies, we adore them.